Do you want to be the owner of premium handar? If YES, use this mod. 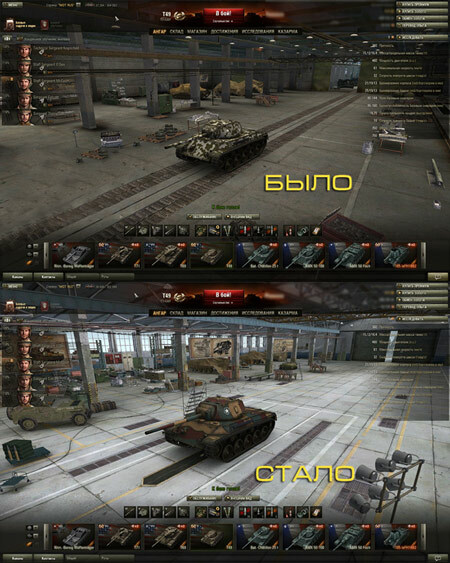 In patch World of Tanks 0.9.17.1 was added new, beautiful hangar. This mod will help you make an ordinary base, not very beautiful hangar — on a premium hangar without buying a premium account. Premium hangar is nicer and brighter than the base, so now you can become the owner it forever. Copy the scripts folder in World_of_Tanks / res_mods folder / 0.9.17.1/ to confirm the replacement.